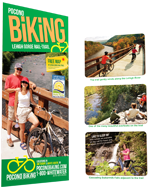 Pocono Biking and Pocono Whitewater are offering you a Spring Break Special! This is a time when you get to do something fun to avoid thinking about school. Often times, activities during spring break can get pricey. 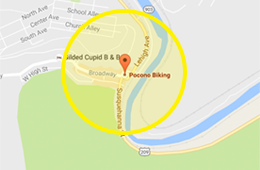 At Pocono Biking, we want you to have an awesome time without breaking the bank. Students get to raft or bike for the discounted rate of $37.99 per person. 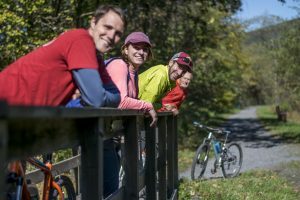 Biking rate includes a Trek bike rental and shuttle service to the top of the trail. Valid student I.D. required. As an added bonus, you’ll also receive a free pass to come back and play Skirmish Paintball – that’s a $38.00 value. Bicycle Shuttle – 15 and 25 mile options. Shuttles depart at 10:00 AM and 12:00 PM. Be sure to arrive at least 30 minutes prior to departure. If you would like to make reservations, give us a call at 1-800-Whitewater (1-800-944-8392).